You will love Ina Garten aka The Barefoot Contessa’s legendary Meyer Lemon Bars Recipe and we have a video tutorial to show you how. Check out how to make them now. As good as lemon pie, but a lot less work, this delicious recipe for Meyer Lemon Bars cannot be beaten. A shortbread crust is topped with a tangy citrus filling and sprinkled with powdered sugar for a picture-perfect look. This is the famous Ina Garten, AKA The Barefoot Contessa recipe and she has a great step-by-step video too. 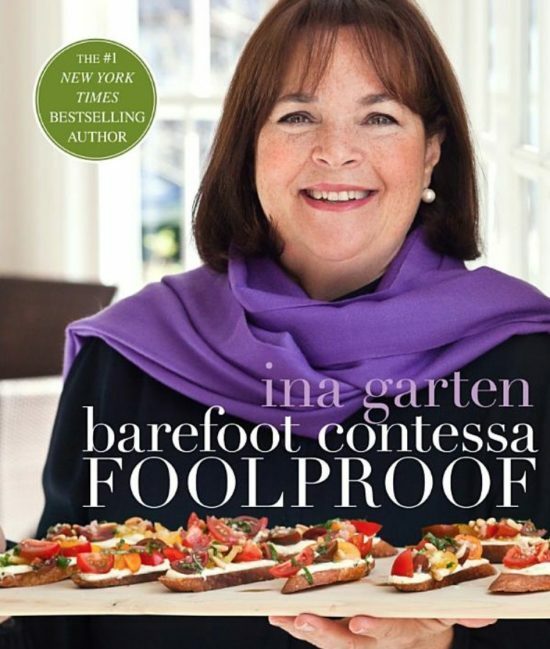 If you are looking to add another cookbook to your collection, Ina Garten’s Best Selling Foolproof is for you. As the title suggests, these are recipes that you simply cannot mess up. There are a number of other cookbooks to select from. View them all here. The Barefoot Contessa is very popular and with good reason. Maybe you have seen her show on Food Network? 2. To make the crust: Cream butter and sugar together until lightly whipped using the paddle attachment of your electric mixer. Add the flour and salt. 3. Turn the mixer down to low and put in the butter and mix lightly until dough forms. Put dough down on a floured surface and gather it into a ball. Press the ball of dough into your 9 by 13-inch baking sheet, covering bottom entirely and making a 1/2 inch edge around sides. Chill. 4. Bake your crust in the preheated oven for 15-20 minutes until lightly browned. Leave the crust in the pan, and place on a wire rack to cool while you make the filling. Leave your oven on. 5. Now you’ll make the filling. Whisk together eggs, sugar, lemon zest, lemon juice, and flour. Pour filling over cooled crust and bake in the oven for 30-35 minutes until it is set. Cool to room temperature. 6. 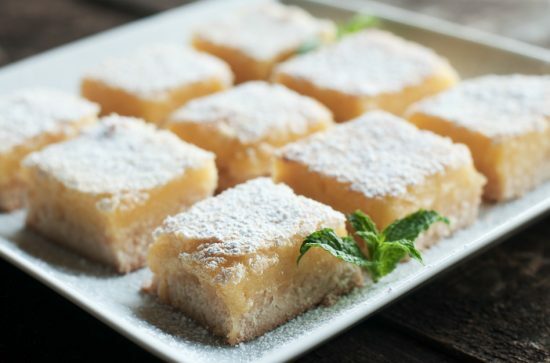 Cut your lemon bars up, sprinkle with some confectioner’s sugar and enjoy.